We may assume that the price is finishing the formation of wave  inside wave A. most likely, the local correction may be finished during the day and the price will start falling down while forming the third wave. The first target for the bears is the level of 0.87. If we take a look at more detailed wave markings, which are shown on the H1 chart, we can see that an initial wave  has been completed in the form of wedge pattern. 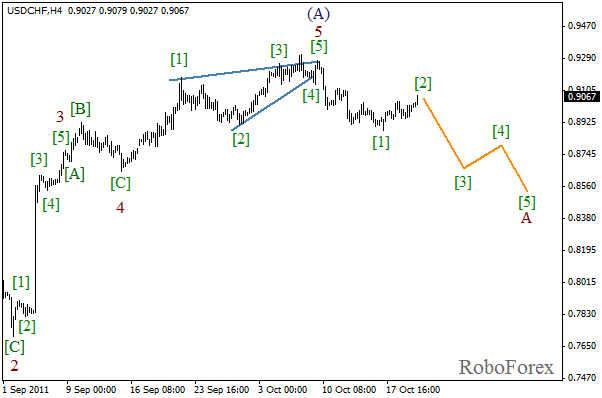 At the moment the second wave is being formed and taking the form of zigzag pattern. 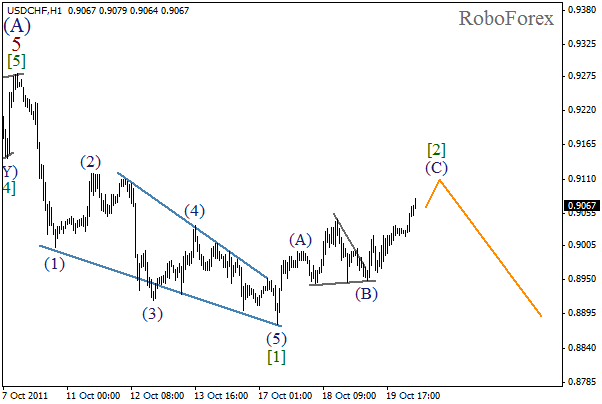 On the minor wave level the price, after completing horizontal triangle pattern in wave (B), started forming bullish wave (C) of . In the near term, we can expect the local correction to be finished and the price to start falling down again. The second wave continues, as we expected yesterday. It looks like the local correction is about to be finished, today, or may be tomorrow. The future forecast remains bullish. 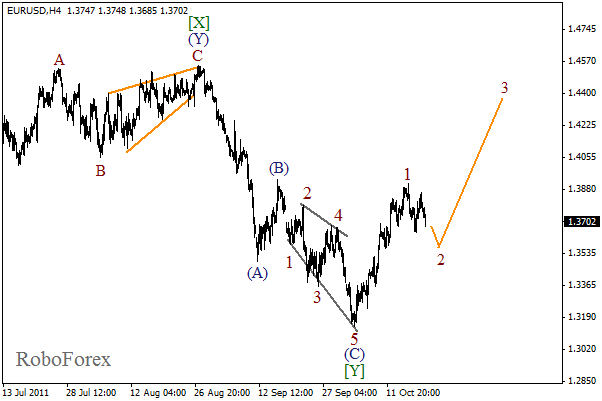 The minimum target for the bulls is at the level of 1.4350. 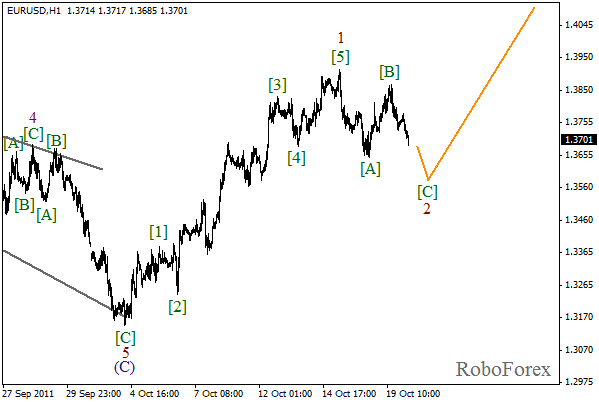 As we can see that on more detailed wave markings, which are shown on the H1 chart, the market is forming wave [C] inside zigzag pattern of the second wave. The price may reach a new local minimum within the next several hours. In my opinion, the price won’t move far beyond this level. Most likely, the market will rebound from it and start forming first initial rising waves.